Incredible opportunity in Bridgewater Parks in The Bridgewater Club! Gorgeous setting overlooking mature trees & walking path can be enjoyed from your Sunroom or Patio. 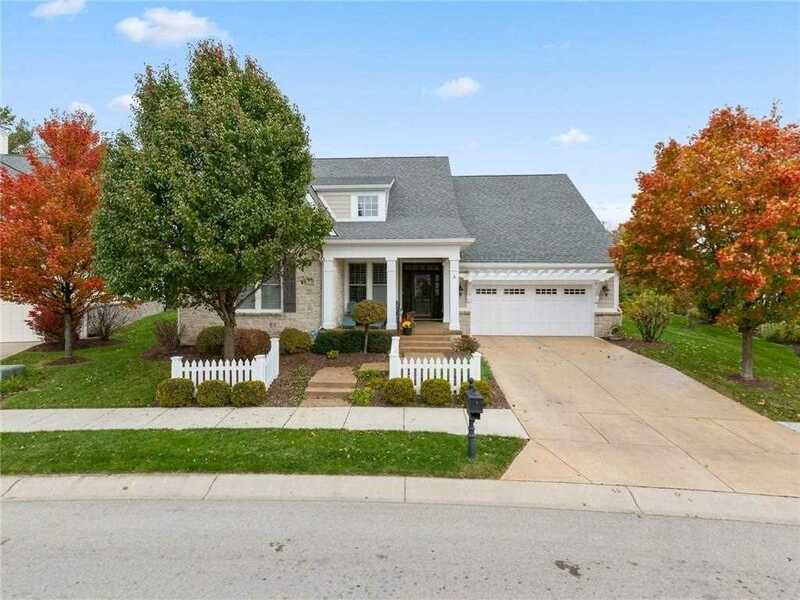 Stunning Lower Level w/wet bar, rec room, theater area and bedroom with full bath. Great ranch home located in gated community features 3 bedrooms plus den w/open concept design. Gourmet Kitchen features granite, smudge-free bronze appliances, pot filler, large center island & is open to Great Room w/fireplace. Dining Area w/built-in buffet plus separate Breakfast Area. Main level Master Suite w/walk-in shower, garden tub & walk-in closet. Extended 2 car Tandem Garage with room for Golf Cart! Truly a must see! Directions:From 146th & Gray Rd, go N on Gray Rd to entrance of Bridgewater. Turn W onto Golf Club Blvd. Take first right into Bridgewater Parks on Market Center Dr to home on the right. SchoolsClick map icons below to view information for schools near 15771 Market Center Drive Carmel, IN 46033.